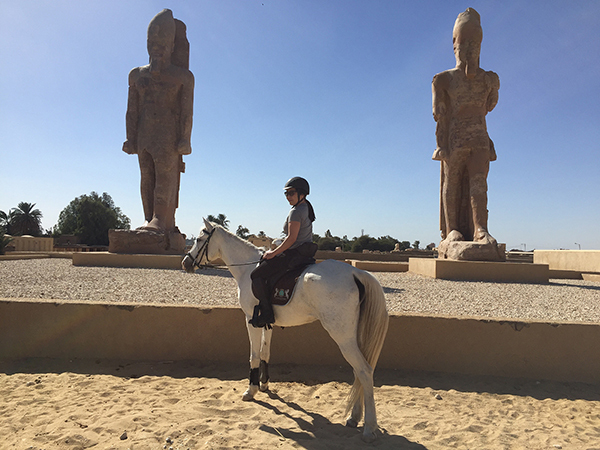 Equestrian adventurer Felicia Quon shares her personal experience of horseback riding through the land of the pharaohs with Ride Egypt. “Are you mad?” “Is it safe?” These were just a few of the comments I received when I booked a solo riding holiday to Egypt. I’ll be candid, there were times when I had some reservations. But I needn’t have worried. The nine-day Valley of the Kings New Year ride in Luxor with Ride Egypt was hands down, one of the most unforgettable, magical riding holidays I’ve experienced. The author in front of a colossal statue of Pharaoh Amenhotep III. Photo courtesy Felicia Quon. I flew into Cairo from Canada where I spent a few days exploring the bustling city. I never felt threatened. I never felt unsafe. From there, it was an easy flight to Luxor, and the moment I stepped into the warm, golden air, everything felt different. I had a sneaking suspicion that I was in for an experience. I wasn't wrong. The Mortuary Temple of Ramesses III at Medinet Habu. Photo courtesy Felicia Quon. The indomitable Emma Jane Levin and her brilliant team ensured everything was well taken care of, but it never felt regimented, nor cloistered. Be prepared to adapt to the unique Egyptian rhythm - this trip offered a bounty of unexpected surprise and delights. One night, Emma announced we would attend a dancing horse fair on the banks of the Nile, where locals showed off their prized steeds. Another day, in the middle of a ride, our guide asked us to dismount and follow him down to the river where two small rowboats were waiting to take us on a leisurely excursion down the Nile. An impromptu day trip to Aswan was filled with even more moments of subterfuge and hilarity. This was Egypt unscripted. 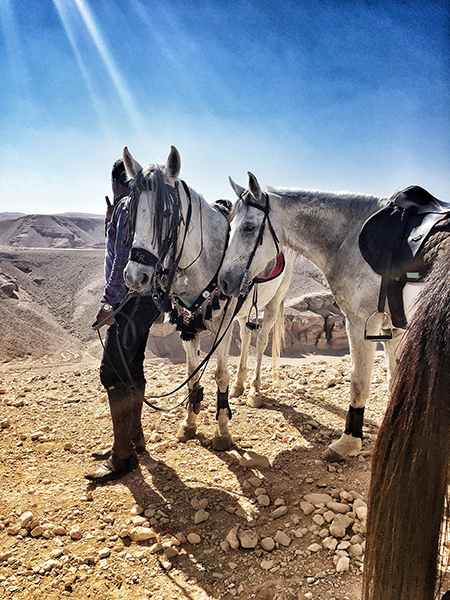 The equine tour guides at Mount Thebes in Luxor, Egypt. Photo courtesy Felicia Quon. 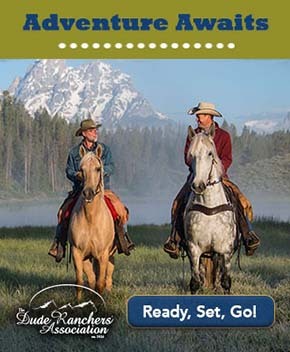 Under the watchful eyes of our dashing guides, we wove our way through dusty back alleys, stopped traffic on the main street, and waved to dozens of beaming children yelling “hello” as we trotted by. We rode up to Medinet Habu temple at dusk, with nary a soul around. 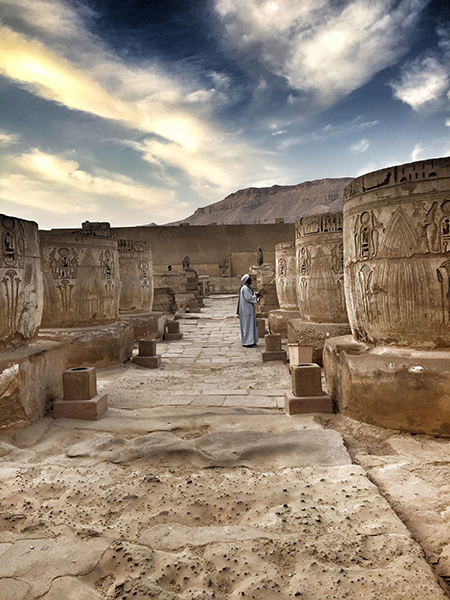 We explored tombs and temples of the pharaohs - imagine gazing at a perfectly preserved column of hieroglyphics dating back thousands and thousands of years. We ate with the locals. We cantered through sugar cane fields and banana plantations, up a mountain to gaze upon the stunning Valley of the Kings, and raced across a desert to visit a little Coptic Church. Climbing to Mount Thebes. Photo courtesy Felicia Quon. Ride Egypt got everything right. 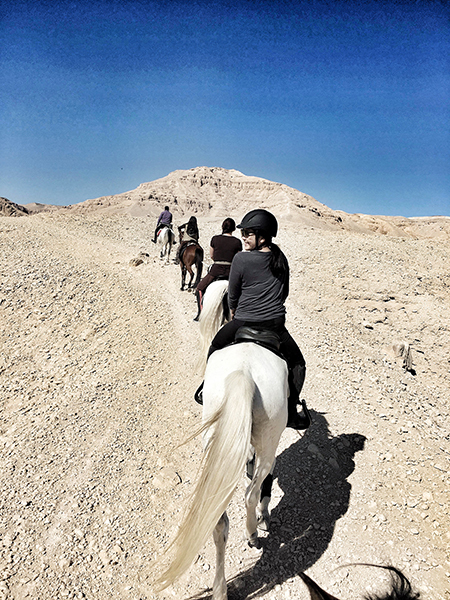 From the immaculate stables, her fit, well-cared for horses, the expert guides, to the riding combined with the immersion into everyday life, this Egyptian riding holiday was simply extraordinary. 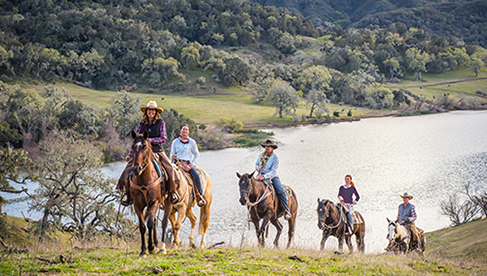 About the Author: Felicia lives in Toronto, Canada, where she plans her next riding adventures. Follow her on Instagram or Twitter.